You guys can also use the clickable link in my info to enter the contest (and help my chances of winning too ..) #Repost @brokedickejuice ・・・ ‪To celebrate the coming of ‘The 1st’ Magnum, we are giving away $110,001 of juice, guaranteed store credit and tanks! Here’s what you need to do:‬ FOLLOW THIS LINK: https://www.brokedick.com/giveaway ✅LIKE THIS POST ✅SHARE THIS POST TO YOUR STORY ✅TAG 3 FRIENDS ✅TURN ON POST NOTIFICATIONS ✅FOLLOW US This giveaway ends on May 17th! Click the banners below and use the discount codes to support this website! 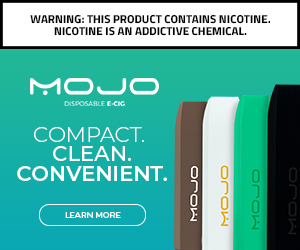 Mojo Tech – use the code “COFFEEFUEL” to save 15% off your order! Good Life Vapor – Use the code “COFFEEFUEL20” to save 20% off your order! “A throwback to our Cactus Jango from our classic line, we played with the flavours and made an even better flavour! It is a tropical medley of jackfruit and mango with hints of lychee, strawberry and cactus fruit. Packaging: The front of this bottle features the logo for Cactus Jango, which involves a more orange glow on “Jango” with a little flower on top. The back of the bottle has brief instructions on opening and closing, along with a “Keep Out of Reach of Children.” Ingredients and batch number finish out the details (which this lists as being good for up to 2 years after batch date). What further solidifies this being a Canadian juice is there is no Prop 65 warning and everything is translated to French just to the left. Flavor: This is a more subtle flavor explosion than most fruit flavor combinations I have tried. The jackfruit and mango inhale gives a very sweet punch right from the get-go. 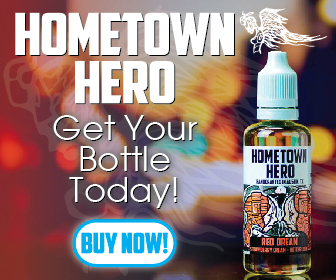 Where the flavor would normally twist into a sweetened tangerine type finish, it instead has a fresh strawberry finish. During the course of the vape, I couldn’t help but notice a very slight wash underneath, almost like cactus water.